United Way has set up a special fund to support local federal employees during the government shutdown. Donate to this fund HERE. All United Way Partner Agency February allocations have been accelerated to assist in enabling agencies to extend their resources to help local federal employees in need. 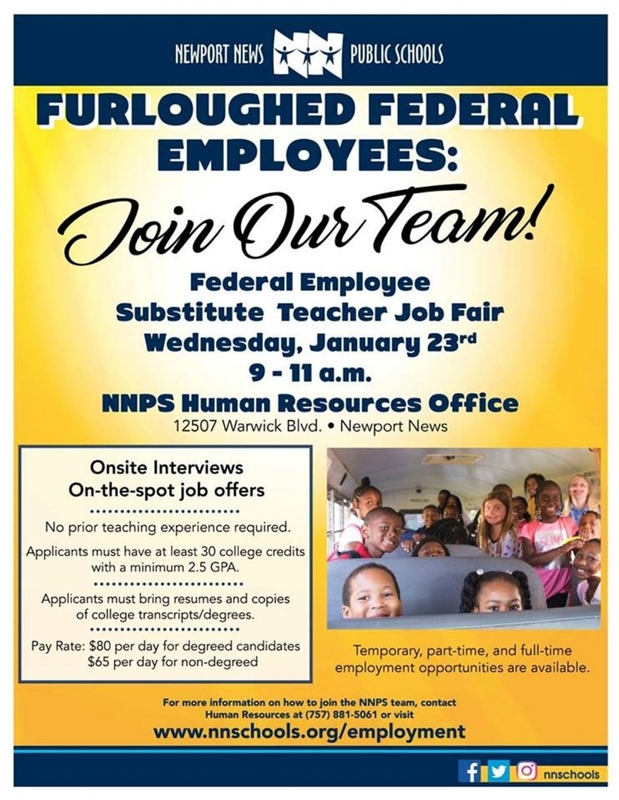 Furloughed federal employees are eligible to file for unemployment. To file, visit https://workforcesecurity.doleta.gov/unemploy/unemcomp.asp. If you are a furloughed federal employee and reside in Newport News, Hampton, Poquoson, GLoucester, Mathews or Lower York County you can contact the United Way First Call service at 757-594-4636. If you reside in Williamsburg, James City County, and Upper York County, you can contact the Community Resource Center at 757-229-2222. To read the UWVP press release on the efforts to help during the government shutdown, click HERE.